Home / Planning Ahead / What is a death doula or end-of-life doula? We can also get sidetracked by an agenda or list of tasks. Plan the funeral, finalize the will, keep the lawn mowed, donate stuff, get the medical bills paid, check off items on a whirlwind bucket list. Adding more and more tasks is a good way to avoid thinking about the fact that you and your loved ones are going to die. But maybe that isn’t you. Perhaps you realize that death is coming, and you want to address it and face it head on, with clear eyes and full hearts. You recognize that death is a natural part of life, and you want to die well. You want to take care of your family, leave behind a meaningful legacy, and have your own or your loved one’s final wishes fulfilled in an honorable way. Maybe you want all those things, but you just don’t know how to make it happen. There are people who are trained to help with this situation. These are caring, compassionate individuals who have learned about the dying process in order to help you through the journey. They are part of an emerging profession known as death doulas, death midwives, palliative doulas, or (the preferred term) end-of-life doulas. A death doula is a person trained to help the dying one and their family with the death process. The doula offers knowledge, wisdom, and insight, promotes healthy discussion and planning, and advocates for the wishes of the dying person. In much the same way as a birth doula helps with the birthing process, the end-of-life doula comes alongside and walks with them through the process, helping the family recognize death as a natural part of life. Where can I find an end-of-life doula? How can I become an end-of-life doula? How can I incorporate the doula approach in my family? Under section four, How can I become an end-of-life doula, I will include a list of certification programs and recommended books. The doula does not take the place of medical professionals, hospice care, or the comfort of family and friends. 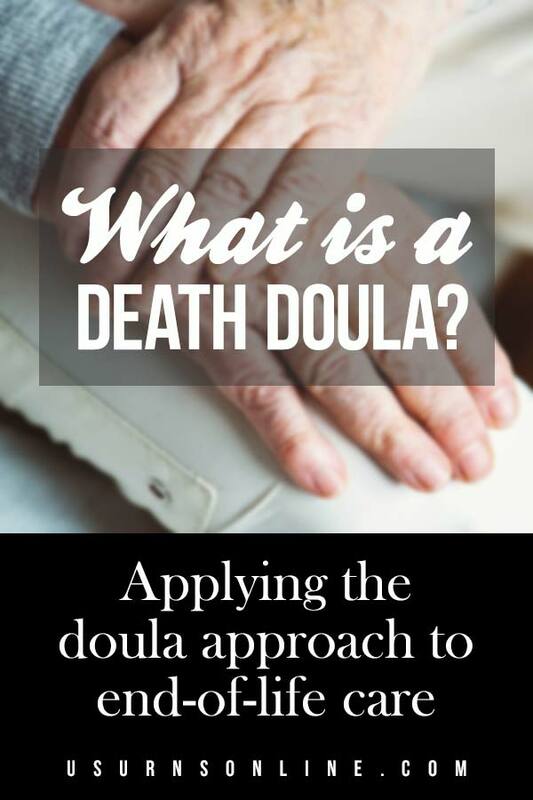 Rather, the doula’s role is to help the dying person navigate through the unfamiliar territory at the end of their life while training family members and friends to care for their own dying loved one. In all of this, by providing care, presence, and insight, the doula can help bring a deep sense of peace and meaning to the entire family. 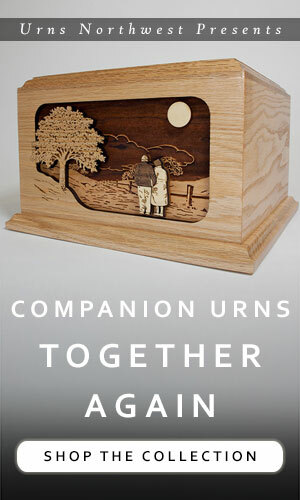 As the dying person and their loved ones learn about the dying process and how they can be involved in healthy care, anxieties often lessen, walls break down, and a great depth of love and enjoyment of each other’s company can emerge. Of course, death is still messy, and relationships are even messier, so adding a doula to the mix doesn’t always guarantee final days that are peaceful and serene. Medical emergencies happen, grief and stress can overwhelm, and old wounds or conflicting opinions can cause rifts in the family. In these situations the help of a calm, dispassionate, and non-partisan doula can be even more important. Currently there is no governing body or overarching certification board. As a newer profession, there are several different training centers and programs that offer their own certification. Additionally, some palliative and hospice organizations are incorporating the doula approach into some of their programs. Quality of Care – Deanna Cochran is a registered nurse and early pioneer of the doula approach. 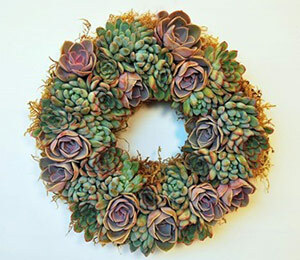 Her Accompanying the Dying program offers a one-year course, completed online, includes certification once completed. International End of Life Doula Association – Henry Fersko-Weiss is a licensed clinical social worker and another early pioneer of the doula approach. After many years of training hospice workers in this new model, he helped co-found INELDA to help formalize the training. Thee training is packed into 3-day workshops which take place in various cities around the country. Doulagivers – Suzanne O’Brien is a registered nurse and a founding member of the National Hospice and Palliative Care Organization (NHPCO) End of Life Doula Council. She offers a variety of training programs to suit various needs as well as the comprehensive certification course. Lifespan Doula Association – Founded in 2016 by Merilynne Rush and Patty Brennan, together they have more than sixty years of experience with families in transition. As retired birth midwives in addition to years of work in end-of-life fields, they bring a unique perspective modeled after the DONA International birth and postpartum doula certification program. Based in Ann Arbor, MI, but available to travel or provide referrals. You may find some results for the more “traditional” birth doulas, so look over the results carefully to make sure that the doula provides end-of-life care. To become an end-of-life doula and offer your services to the community, I would recommend going through a training program that offers certification. Some of the most popular are listed under the “How are doulas certified” section above. There are more training programs out there, and you may find something through a local palliative care network or hospice, but those are some of the foremost certification and training programs currently available for end-of-life doulas. For your convenience, I’ll list the programs from above and a few more here. Before you embark on such intensive (and somewhat expensive) training, you should read further about what is involved in providing doula care to the dying and their families. The best combination of price, availability, affordability, quality, and depth would be Henry Fersko-Weiss’ book, listed first below. Please note that the books below are affiliate links, which means that I would receive a small commission at no cost to you if you choose to buy one on my recommendation. That is how this blog is supported. Creating Positive Passings: End of Life Doula, Level 1, Caregiver Training by Suzanne O’Brien. I haven’t read this one, but at such a low price on Kindle and with so many positive reviews, you can’t go wrong. Ms. O’Brien is the founder of Doulagivers, so I’m guessing this short book serves as an introduction and overview of her training program. 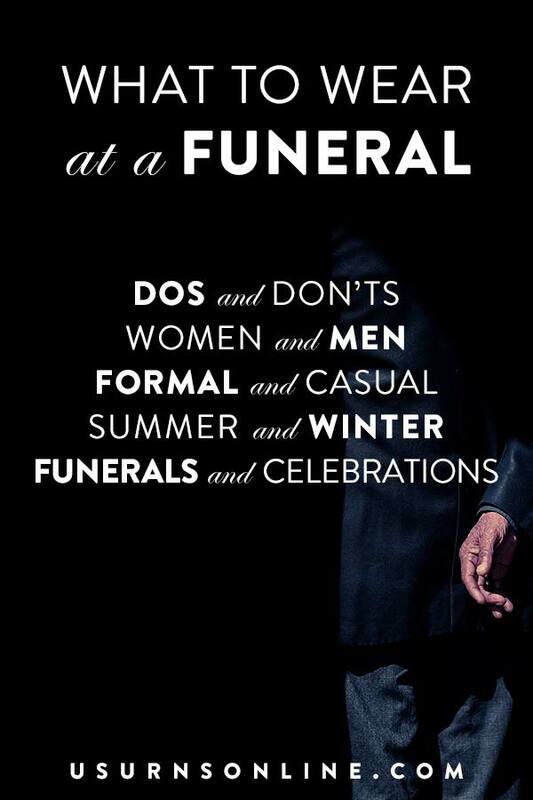 The simplest way is to just take the effort to talk openly about death. 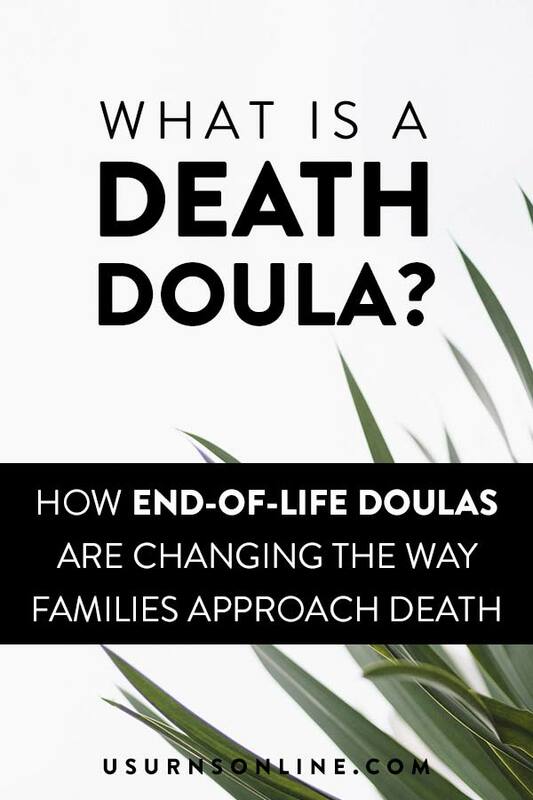 Learn what you can from the doula movement, from palliative care professionals, from pastors and chaplains, and family members who have experienced the death of a loved one. 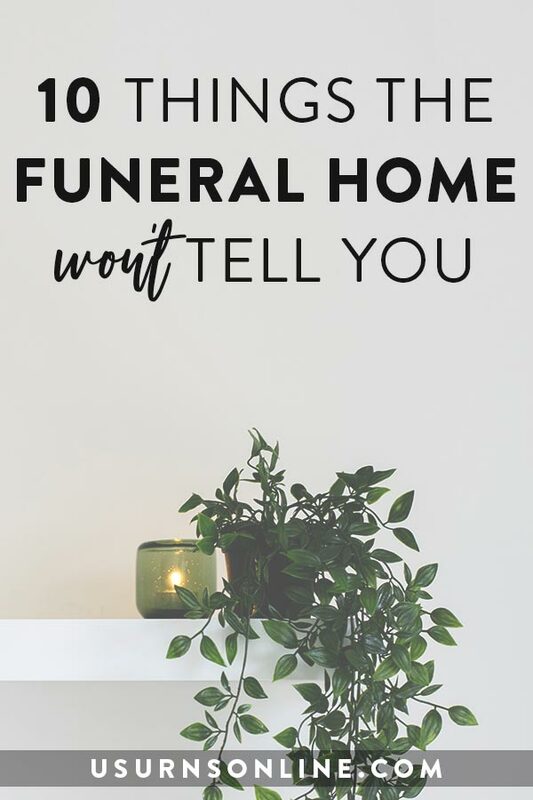 Read articles online (here’s our list of recommended funeral articles), read Mr. Fersko-Weiss’ book Caring for the Dying, attend a “Death Cafe,” and look into funeral planning arrangements. Then do the hard work of talking about it. Another option is to become trained yourself. Most doula programs advise that you wait at until at least one year after the death of a loved one to begin your training, allowing you a space of time to grieve properly. This sounds like great wisdom. Many of these programs do, however, offer some services or classes to help train families. Check your local hospice care and counseling centers, or look at the websites for the certification programs listed above. Quality of Care offers a version of their program designed for family members at a reasonable rate, and you can also apply for one-on-one support sessions with an intern who is currently working through the program. If you have additional questions, please comment below!